It was an event so momentous people are still celebrating its impact on North Idaho’s people and economy 30 years later. It reached the world, touched a nation, and landed in our backyard. 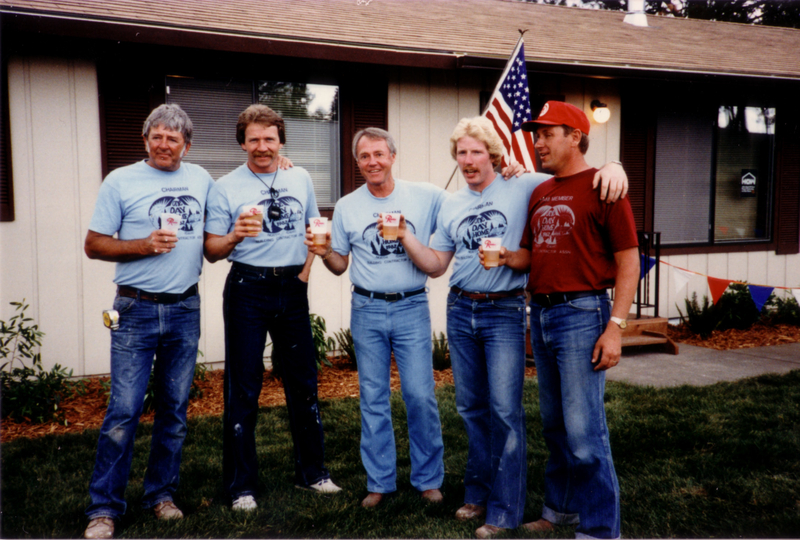 More than three decades ago, on July 7, 1982, in Post Falls, Idaho, local contractors banded together to achieve the impossible. An entire home, from the foundation to the roof, including the installation of a landline phone, was built in six hours, 55 minutes and 23 seconds for the “one-day house” project sponsored by the North Idaho Building Contractors Association. 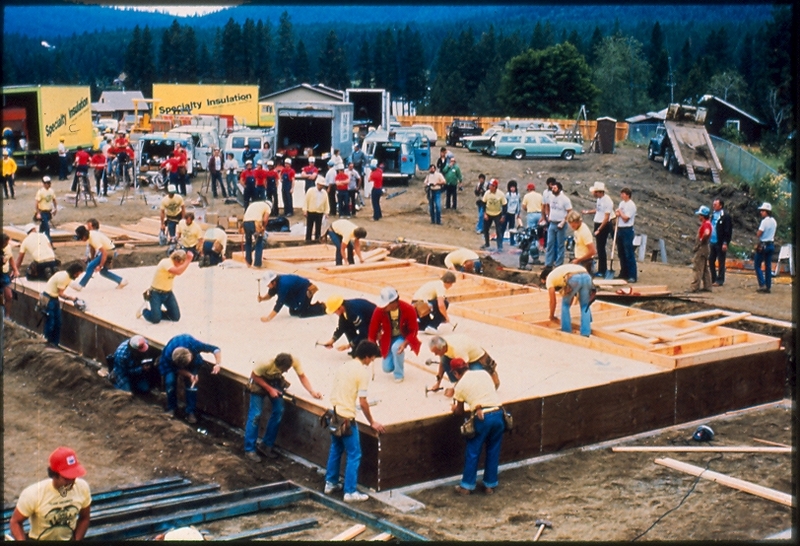 The Guinness Book of World Records, according to a Coeur d’Alene Press article on July 8, 1982, recognized the unprecedented achievement at the time as the Fastest Home Built. At the end of the night, first-time homebuyers Richard and Melinda Galbraith enjoyed their first meal with a bottle of champagne by a lit fireplace. For $39,500, they had their own home. Before this moment, though, things were not nearly so peaceful. Flanked by grandstands packed with spectators and media, the building site was a spectacle. Paul Harvey, a former broadcaster of ABC Radio Networks, addressed the volunteers on his national program, bringing the bustling machine of people to an utter silence. “That’s Incredible,” a national TV show, featured the project. 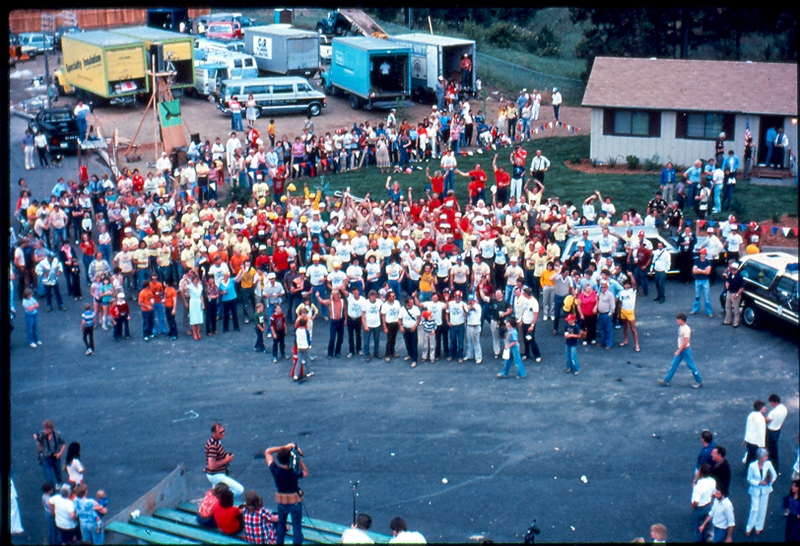 Almost 300 volunteers, divided into zones assigned to jobs and distinguished by different colored T-shirts, blanketed the grounds in bright colors. One job followed another, step by step, until a three-bedroom home was systematically built. “The whole thing was so incredible because everybody came together to accomplish something we thought would take a whole day,” said Art Trenkle, owner of Fairway Floor, who helped install the carpet in the house. History was made that day in many ways. The housing and building industry had plummeted due to 18 percent interest rates. People weren’t buying; and people weren’t building. “In 1982, ‘The One Day House’ project was a model for us to emulate for the next 30 years going forward. In today’s market, as difficult as it has been, that event was a perfect example of what we, as an association, can accomplish if we put our minds to it,” said Executive Director of NIBCA Larry Jeffres. Maynard Lyson, founder of Lyson Cement Contracting, remembers working on the house with his son. “You’re doing your work and all of a sudden you look up, and the building is just going up and up and up. Everything was going so fast. I enjoyed that so immensely. It’s been in my mind so many times since in my life,” said Lyson. Adams and her colleagues believe in the legacy of this project, and aim to promote similar projects in the future. “We want to get together and celebrate something that was so exciting, that is bubbling over with enthusiasm, and that shows there is always hope when things are down and depressed,” Adams said. 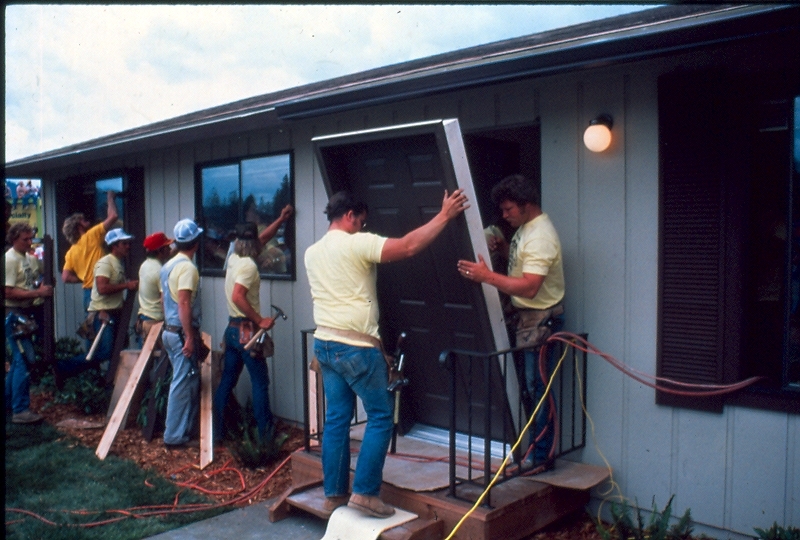 To celebrate the 30-year anniversary of the “one-day house” project and its impact on North Idaho, NIBCA is hosting a celebration dinner on Wednesday, September 19th at the Coeur d’Alene Resort Golf Course Event Center. Guests will enjoy a presentation and a dinner. To make reservations or to sponsor a table, call Kris of NIBCA at (208)-765-5518.